. إن الخدمات التي يقدمها Tropical Heritage Cairns تضمن للنزلاء إقامة مريحة. يمكن للنزلاء الاستمتاع بالميزات التالية: واي فاي مجاني في جميع الغرف, خدمة التنظيف يوميًا, خدمة غسيل ذاتية, خدمة سيارات الأجرة, خدمة حجز التذاكر أثناء إقامتهم في هذا المكان الرائع. تعكس غرف الفندق البالغ عددها 44 المنتشرة في 2 طوابق جواً من الدفء والألفة.خدمات عصرية مثل تلفزيون بشاشة مسطحة, اتصال لاسلكي بالإنترنت, غرف لغير المدخنين, مكيف هواء, مكتب موجودة في بعض الغرف المختارة. صممت خدمات الاستجمام في الفندق والتي تتضمن حمام سباحة خارجي, سبا, حديقة لمساعدتك على الاسترخاء والراحة. 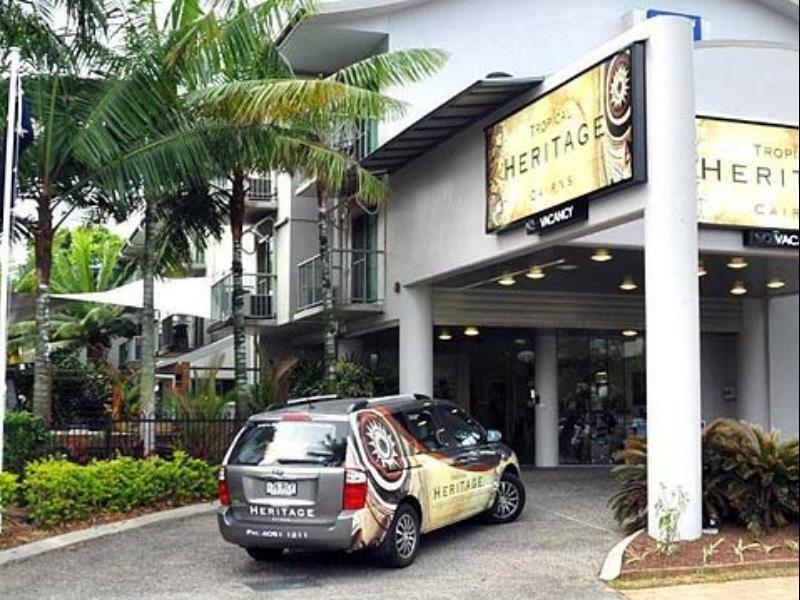 اكتشف مزيجاً ساحراً من الخدمة الاحترافية والخيارات الواسعة من وسائل الراحة والمتعة في Tropical Heritage Cairns. Pros : Reasonable tariff for city hotel. Very friendly and helpful staff. 5-10 min walk to the Cairns Esplanade Lagoon. Breakfast at an additional surcharge (did not try it). Cons: Pool area very small and garden area seemed a little neglected. Reception lady was very friendly. Our room was spacious, large bathroom with separate shower & bathtub (it was triangle shape jacuzzi), safety box, tv, balcony. We stay at different hotels when visiting Cairns and was very surprised how quiet this hotel is, which was great. We noticed a few areas in our room that need some facelift however the room was very clean, everything in the room was working and it was quiet. We are happy to come back. Just a one night stay but the reception staff were very helpful and friendly plus the room was a good size and well appointed given the rate we paid. It was also within easy walking distance of everything in the CBD. We didn’t use the pool but despite being quite small, it was still a nice extra. Fantastically friendly staff . I was greeted with a smile and sometimes conversed with all staff. Rooms where sparkling clean. It is about a 10 min.walk up to the main area of shopping dining and swimming lagoon . Car rental close by . Parking available. We had a great stay at TH. Rosemary is a friendly, knowledgeable and sympathetic manager who went out of her way to ensure we were as comfortable and happy as could be. Whilst she is always efficient and highly organised, she manages to maintain a relaxed family atmosphere and always has time to chat or share her experiences and recommendations, which are boundless. I was recovering from a serious illness when I arrived and the support began via email several days before, as she made calls on my behalf and provided essential information regarding local medical care. This attention to detail continued later on as she booked trips and reserved tables for us. 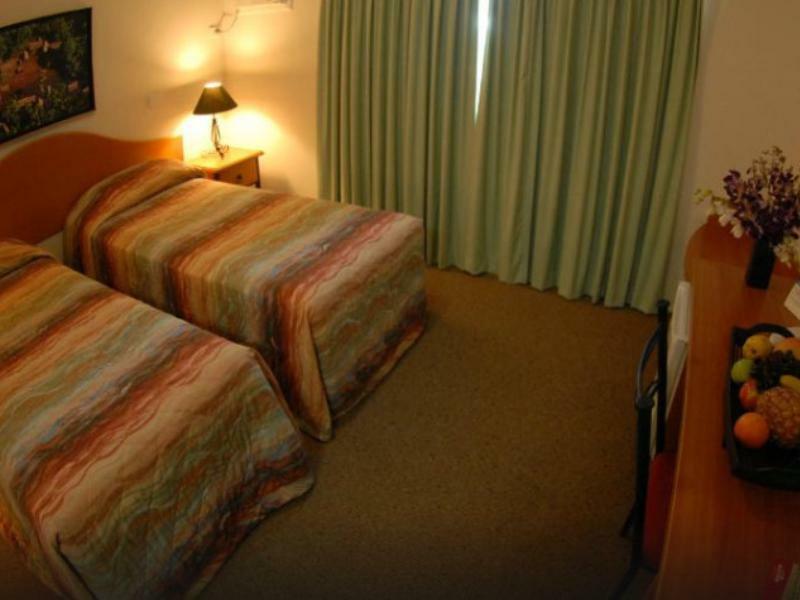 The hotel has been recently refurbished, and is comfortable and quiet. Only criticisms are the lack of free wi-fi (but this is, disappointingly, still the norm in Australia, and TH was considerably cheaper than Sydney); the shower heads are fixed and set way too low; the TV reception / choice was not great; and it's a bit of a hike into town (15-20 mins) if you don't enjoy tropical walks (however the Esplanade boardwalk is at the bottom of the street and makes for a lovely stroll into town at sundown). These are negligible concerns though given the value and level of service provided, especially compared to more expensive options nearby. Recommended. 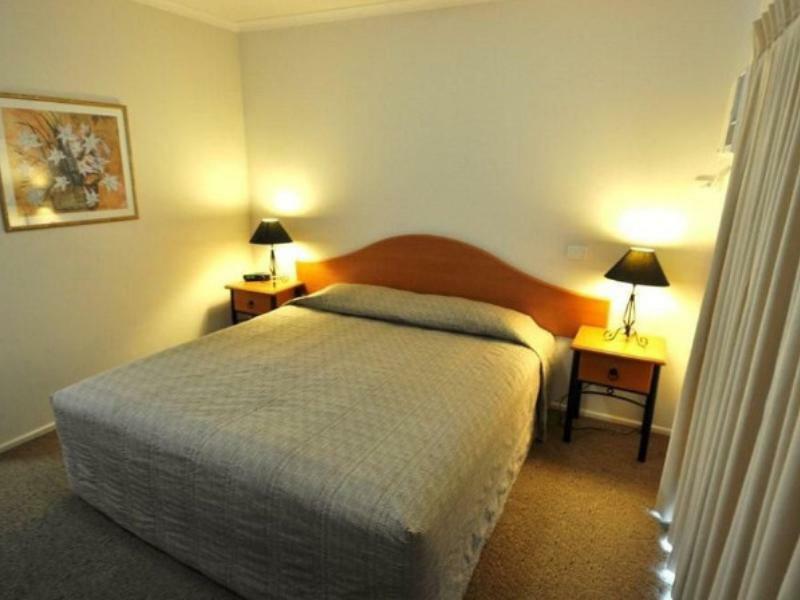 Good value big clean room, friendly staff and two blocks from esplanade. The rooms are air conditioned but my wife doesn’t like the sound, it doesn’t bother me but it means sleeping without air-con so I opened the window, was pretty quiet for a city centre location and I slept well. The location is about 10-15minute walk to the central busy city. Close to the water and and board walk. It's a quiet area which we prefer. Free WIFI, kettle for boiling water, clock radio, safe, Air conditioner. Bathroom is clean and shower spacious. There is no shuttle to the hotel - we took a taxi and close enough to the airport which cost for 4 of us $22 approx and $18 to the airport. Note - the hotel front desk closes approx. 7 pm. Booking the hotel you are given an access code to punch in on a key pad which is located on the wall right side of the glass door. There will be a envelope with your name and set of key cards for you to open the main doors which is also for the room. There will be info in the envelope would for your stay. the hotel seemed a little rundown but the friendly staff made the stay pretty exceptional. We had the suite with kitchenette. Suited our needs and was a nice surprise. We stayed at a much more expensive hotel later in the week and the lobby was nicer but the room and bed was smaller. Value wise the Tropical Heritage was a better deal. We stayed for 3 nights and were very happy with it. The staff were friendly without being over effusive, and were very knowledgable about the area and different trips to go on. There was a room safe to put your valuables in, which we always use. The hotel is close to the town centre and the promenade and are literally a 2 minute walk. We did not use the pool so cannot comment on it. I would definitely stay at this hotel again. At just a few minutes walk to the esplanade and ten minutes to the CBD, the location is good. Staff were friendly (although arriving late at night - gone 10pm - was a bit of an issue but nothing drastic), the room was clean and very spacious with a kitchenette and separate lounge. The staff at front desk is very friendly and helpful, she was very patient and anwered lots of questions. The hotel is close to coast and center of city, walking distance to night market, very cozy. The breakfast is a litter simple and not too many choices, but good value. It is good place to stay for vacation. I've travelled all over the world and have never been this impressed with service. The staff are laid back and friendly, yet they greeted me by name, gave us a free fruit basket and lots of milk for our toddler!! There was no request or question that they couldn't answer, hey were full of advise on where to sightsee, where to eat etc. We were extremely pleased with the friendliness at this hotel. If we ever come back, this is the ONLY place we will stay. One of the cheaper places around, fairly basic but nothing wrong with it at all. 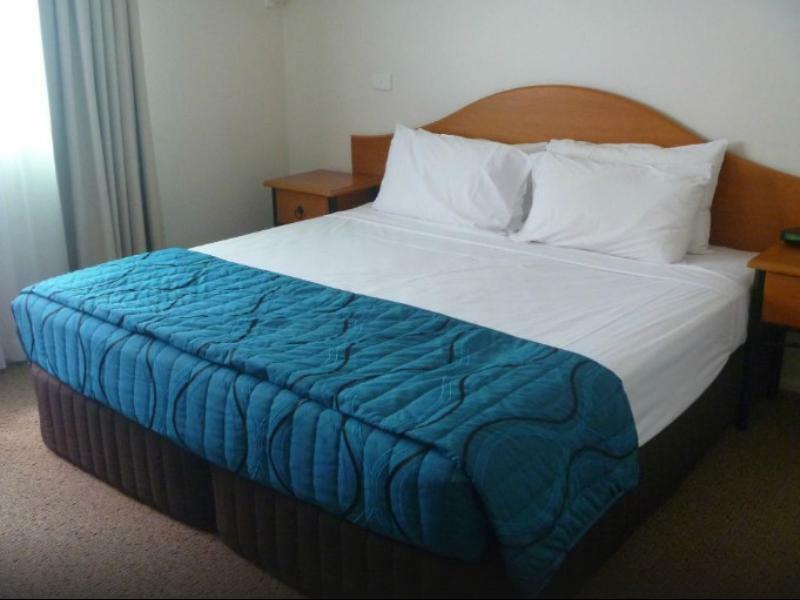 Clean, safe and comfortable, barely a 10 minute walk to the centre of the CBD, very pleasant and helpful staff. If you just want a nice place to stay and don't need views or luxuries, this place offers great value. Rosemary's knowledge in assisting me book a tour to kuranda was first class, undercutting other tour operators. Free wifi was a godsend. Rooms were spacious for a solo traveller with a good hot shower! !